In addition to some of the world's most popular and well-reviewed activity trackers, Fitbit sells several interesting smartwatches, the latest of which primarily focuses on delivering essential fitness features. The same actually applies to the company's first-ever smartwatch, which didn't exactly go after the Apple Watch way back in 2016. In fact, the Fitbit Blaze was awkwardly positioned somewhere at the border between full-featured smartwatches and affordable fitness bands at launch, with a love-or-hate blocky design and somewhat hard to swallow $200 price tag. These choices may have cost Fitbit a few sales (or a million), but now that the Blaze is practically discontinued, this might just be the perfect time to buy it. No longer sold directly by its manufacturer and available from the likes of Verizon at an arguably excessive $160 or so, the Fitbit Blaze is marked all the way down to $64.95 at A4C. This is a reputable retailer specialized in offering great deals on pre-owned gadgets, and the Blaze units on sale today are no exception. While they certainly won't look as good as new, showing signs of use which "may include scratches, blemishes, and dents", you probably don't have to worry about their functionality. That's because A4C promises "100% full working condition", determined after "rigorous testing" performed by the seller's own engineers. Besides, if you're not happy with your purchase for any reason whatsoever, you can take advantage of a risk-free 30-day "just because" return policy to score a full refund. 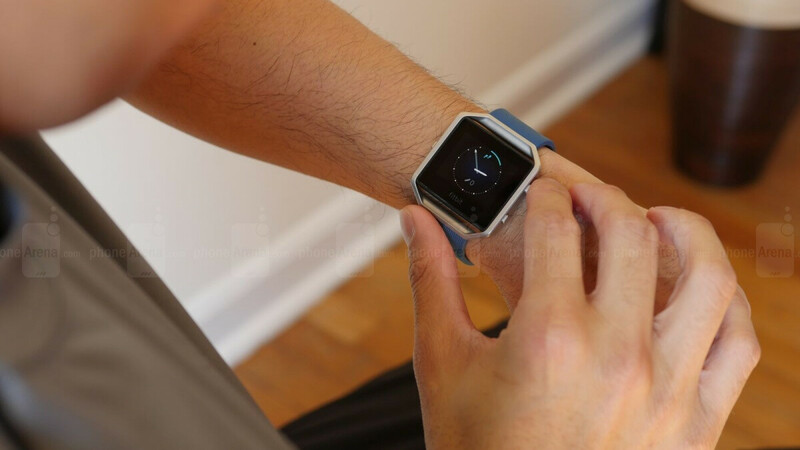 Available in a black and silver color combo with a large band attached to a robust and splash-resistant body, the Fitbit Blaze has a built-in heart rate monitor, decent touchscreen, up to five days of battery life, and various activity tracking features going for it in addition to Android and iOS notifications. There's no standalone GPS support or NFC for wrist payments, but for your 65 bucks, you definitely get plenty of bang. I would totally jump on this, but I have a Blaze already and my fear is that the battery is degrading like mine is. On a different note, Fitbit is starting to annoy me with their lack of support. I think I've received 2 updates to my Blaze since I got it in 2016. A year ago my scale started refusing to connect to the internet all of the sudden (I do blame Comcast for this, but still an issue connected to Fitbit). As a whole, the features of a Fitbit are easily mockable on a different smartwatch (ie sleep, HR, steps, cals, etc). I've been with them for 5 years, but depending on what Google comes forward with (to pair with my P2XL), I may be persuaded to go that way.